Rebecca married her significant other in the same place where they first met, almost a decade later. 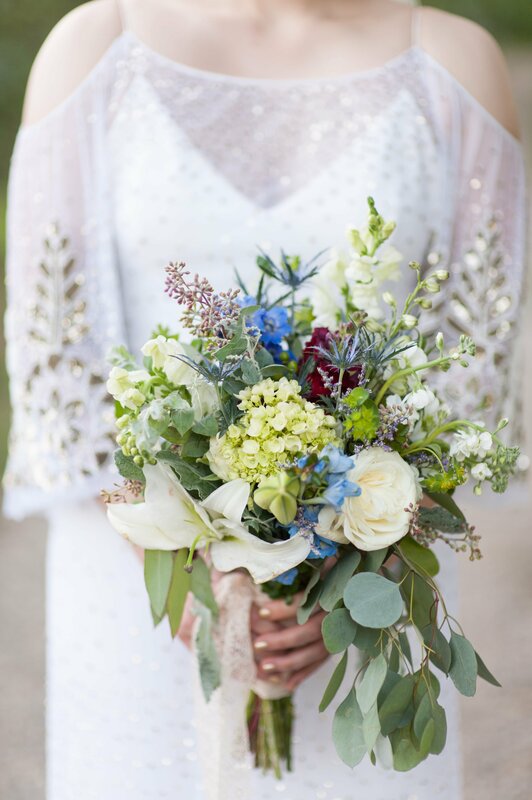 She wore a beautiful Rue de Seine wedding gown with gold accents in honor of the special day that completed her joyfully shining look. 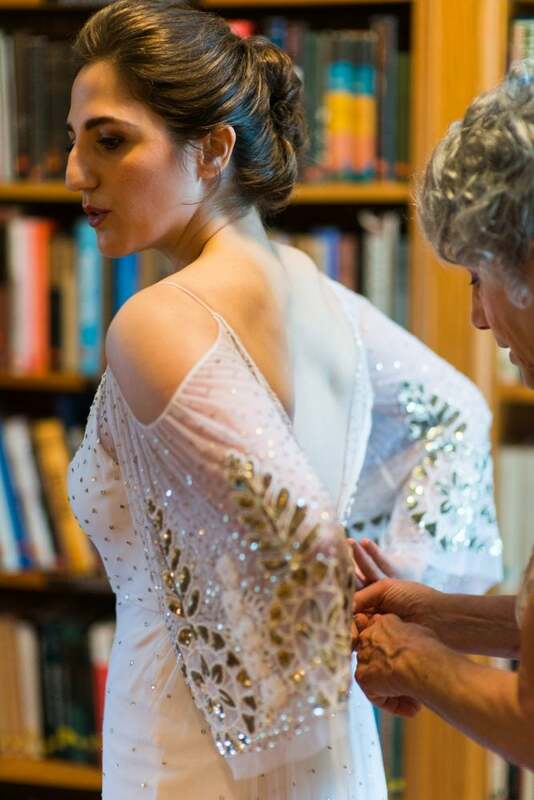 Rebecca took her gown to Orange Restoration Labs after her ceremony to eternalize the beauty of this symbolic garment. Check out more photos and details below! When was your wedding date and where did it take place? August 19, 2016. 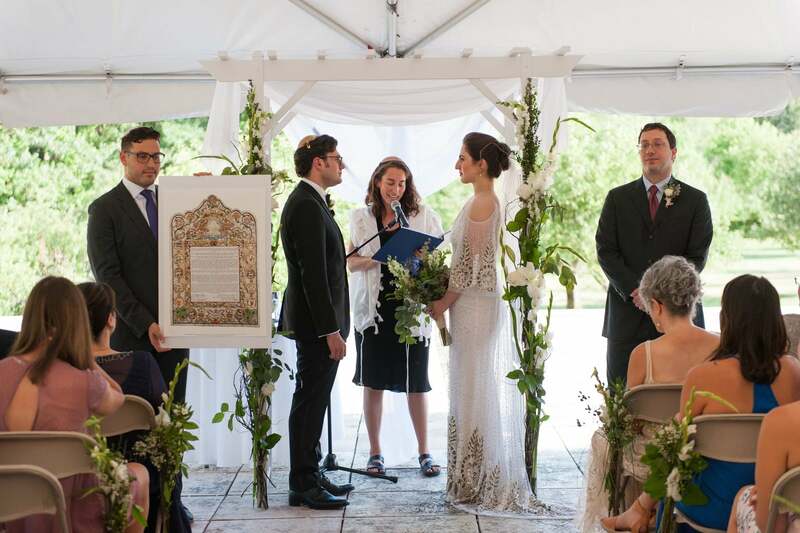 We got married at the National Yiddish Book Center in Amherst, Massachusetts. 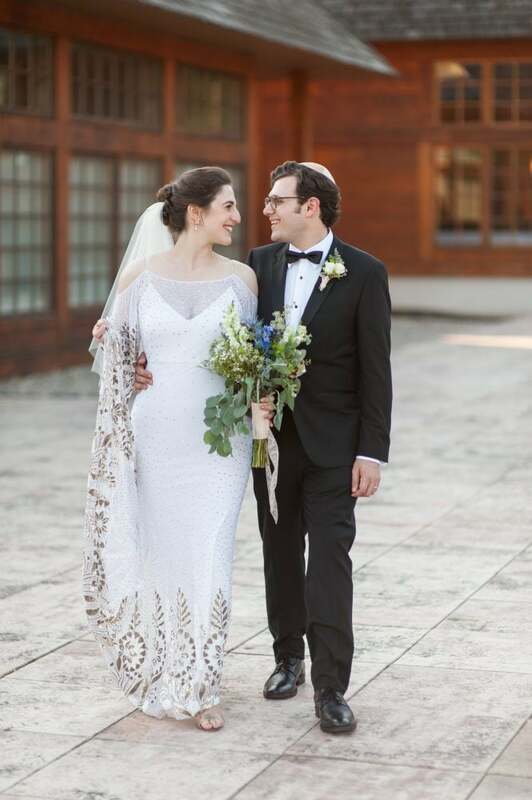 Who is the designer of your gown? The designer is Rue de Seine. I had looked at a lot of dresses over a period of a few months by the time my mother pulled this gown off the rack at an appointment. It was in the boutique for a Rue de Seine trunk show that we didn’t even know about—it was a pure coincidence we were there the right day! As soon as I put it on, we all knew. The sample even fit perfectly. It was so gorgeous and dramatic without being frilly or fussy, and the lines and fit were very much my taste: classic, but with an unusual twist. We tried on a few other dresses that day, but none of them compared. It was discounted for the trunk sale, so we bought it on the spot and never looked back! 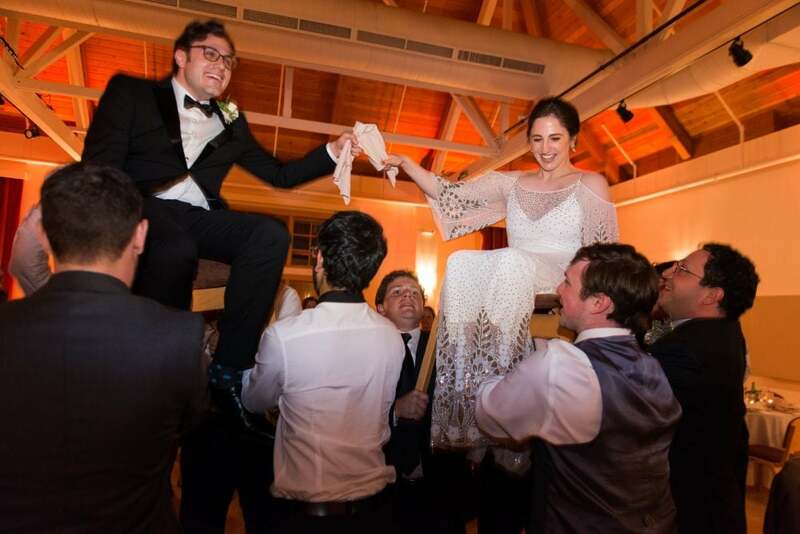 Being lifted up in the chair for the hora! It was just as much fun as it always looked like it would be. And it was so amazing to be dancing and celebrating surrounded by all our friends. 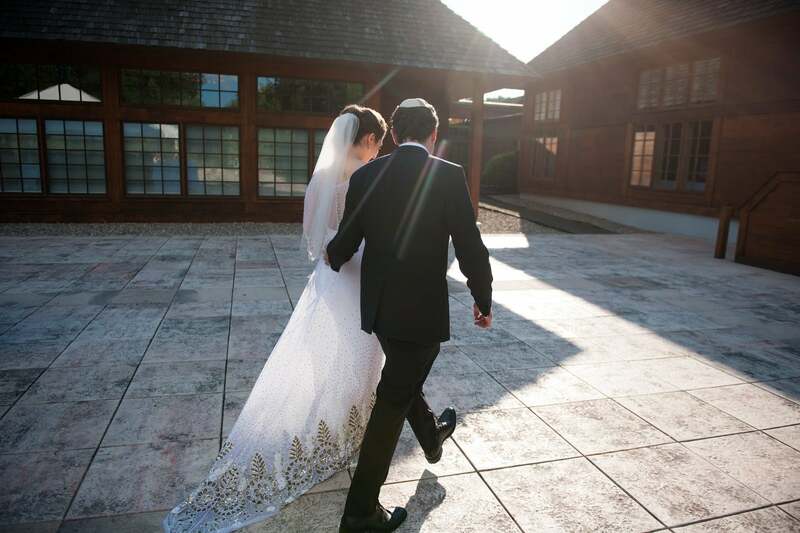 The place we chose to get married had a lot of significance for us—it was where we met almost 10 years ago. 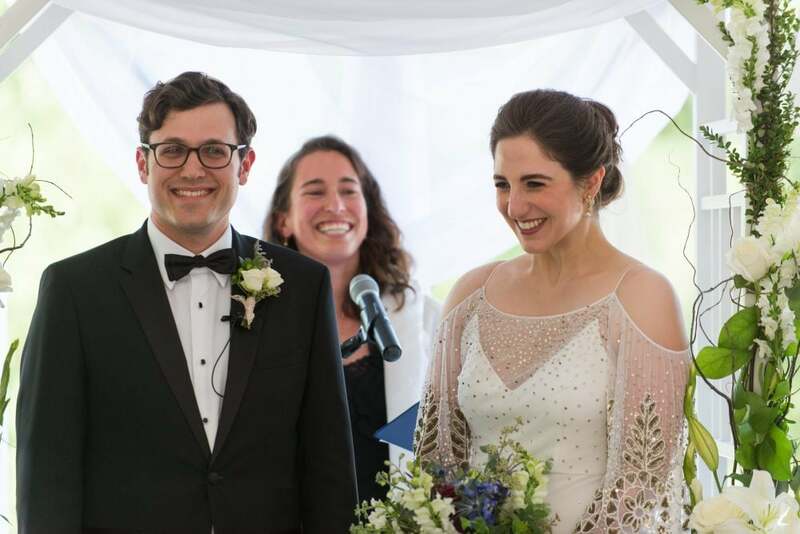 We both did a summer internship at the National Yiddish Book Center when we were in college, and that was how we met each other. 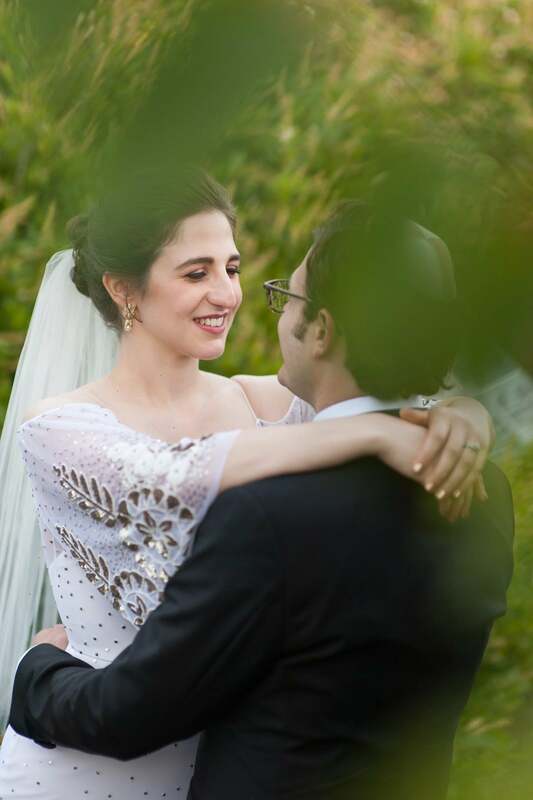 It was such a beautiful and symbolic setting for us and our relationship, and it framed the day and our Jewish ceremony perfectly. I didn’t know exactly what I planned to do with the gown in the future, and still don’t. 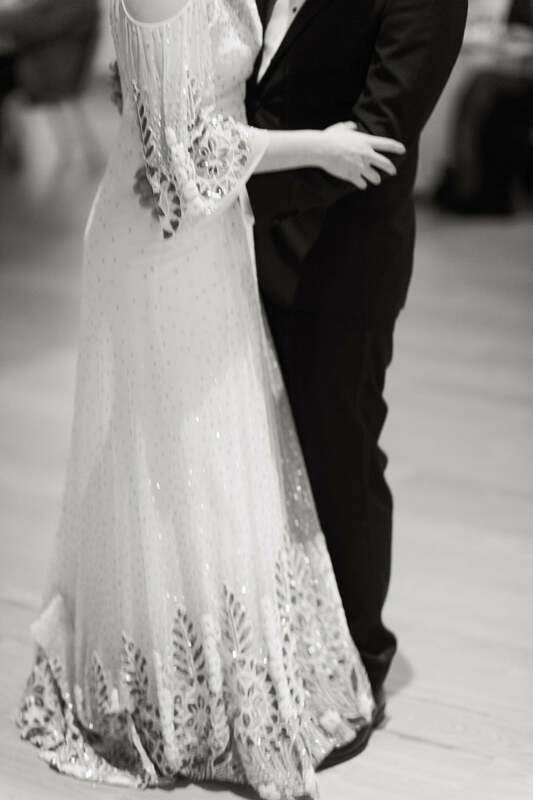 But I loved the dress so much both as a work of art and as a memento of my wedding day, that I knew, whatever I decided to do with it in the future, I wanted it to be in perfect condition. 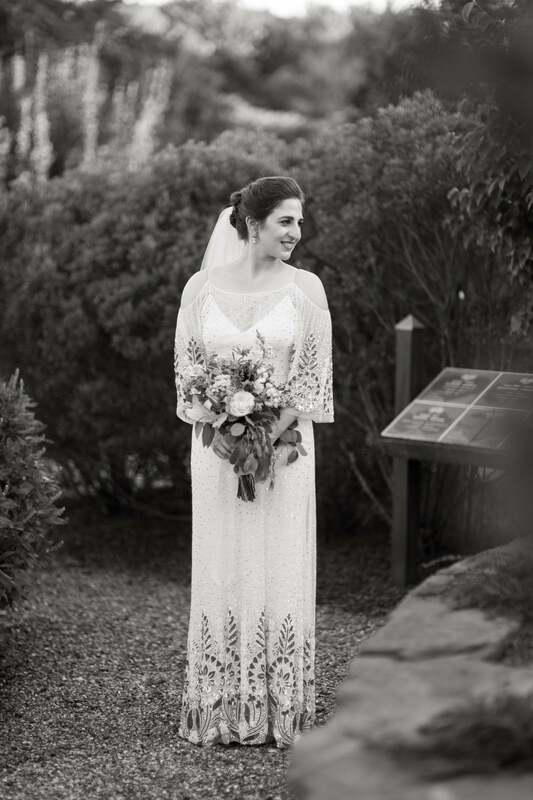 It’s such a beautiful gown, it deserves to stay that way! Orange Restoration Labs was recommended to me by Everthine, the boutique where I bought the dress. They are only about 30 minutes away, and work frequently with Everthine’s customers. It was another unplanned but opportune coincidence.